Home Tags Posts tagged with "automated people mover"
Looking for international job experience? A desire to work with cutting edge technology involving automated vehicles? The company 2getthere has a long history in control of automated vehicles. These vehicles are controlled using software and are managed fleet wide using a supervisory system both of which are developed by 2getthere. With an increasing amount of projects we have an opportunity for an additional test engineer. The test engineer will be responsible for the preparation and execution of the required test cases for both the automated vehicle and supervisor systems, followed by administrating and communicating the results. You have a bachelor in Mechanical-, electrical- ,control systems engineering, computer science, mechatronics, industrial automation or related fields. We offer you a position as a test engineer in a growing organization, an innovative work environment, fresh brewed coffee during working hours and colleagues with humor. Salary and benefits are competitive, based on knowledge and experience. Recruitment by commercial agencies in relation to this vacancy is not appreciated. 2getthere has a long history in delivering autonomous transit systems. These systems are using automated vehicles controlled by a state-of-the-art software product named ‘Forces’. With an increasing number of projects, we are looking for an experienced vehicle software developer to strengthen our experienced team of software developers. We offer you a position as Vehicle software developer in a growing organization with a clear mission and a strong drive. Salary and benefits are market conform and based on knowledge and experience. The exhibition was very succesful with our GRT vehicle drawing praise for looks, spaciousness and engineering quality. In conjunction with the Paris Autoshow, MONDIAL.TECH was organized. 2getthere’s GRT vehicle was exhibited at the booth of our vehicle engineering partner Altran, as part of the new international BtoB experience for mobility innovators to meet and make business. Altran developed the vehicle chassis for 2getthere and responsible for the vehicle engineering as well as the assembly of the first series. With the work for 2getthere, this automatically makes Altran the largest French supplier of autonomous shuttles. 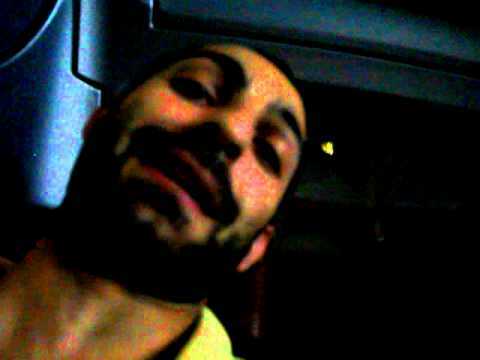 To get an impression of the show and what you missed, see the video below! 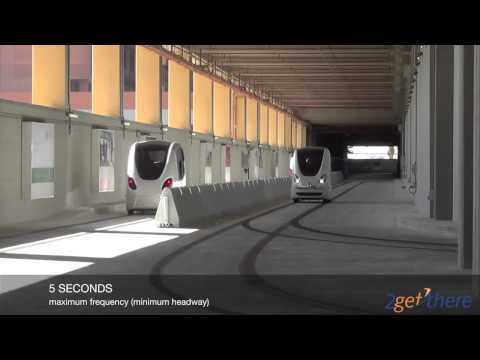 During the ASCE and TD&I Automated People Mover Conference in Tampa, Florida (April 29 – May 2), 2getthere will be presenting in various tracks. 2getthere will present on the Bluewaters Island and Rivium applications as well as on recent research conducted with regards to the incorporation of autonomous vehicles on the airside apron. The theme of the APM conference is ‘MOVING TO THE FUTURE—BUILDING ON THE PAST’. The first airport automated people mover went into service at the Tampa International Airport in the early 1970s as part of an innovative terminal design. Since that time APM and ATS technology has experienced major technological advances and these systems have been used in numerous applications. As we move to the future, what have we learned and what changes in technology and applications do we envision? 2getthere’s GRT vehicles are automated minibuses accommodating up to 24 passengers (8 seated, 16 standing). 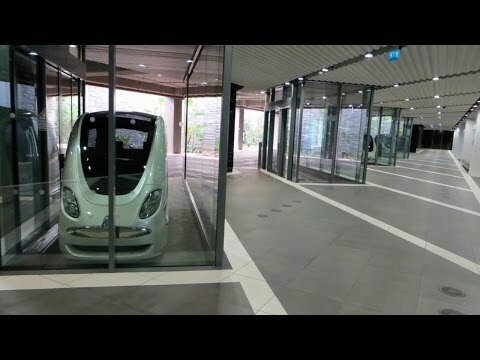 The maximum speed is 60km/hr and are unique as they are the only autonomous vehicles that are bi-directional and feature doors on both sides. The GRT vehicle allows for easy access through accurate docking at the stations, enabled by the ‘crabbing’ capability of the front and rear wheel steering. 2getthere’s PRT vehicles are automated taxi’s accommodating up to 6 seated passengers (4 adults and 2 children). The vehicles have been developed specifically for the environmental climate of the Middle East and are capable of a maximum speed of 40km/h. 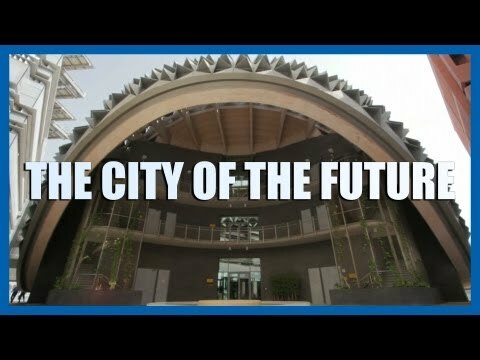 The 2nd generation PRT vehicle has been operational at Masdar City since November 28th, 2010. The vehicle uses a scaled down version of the 2nd generation GRT chassis, with significant improvements in the electronics and sensory systems of the vehicle. In additon the algorithms for control of the vehicle were further improved, ensuring an even better driving behavior and improved passenger comfort. 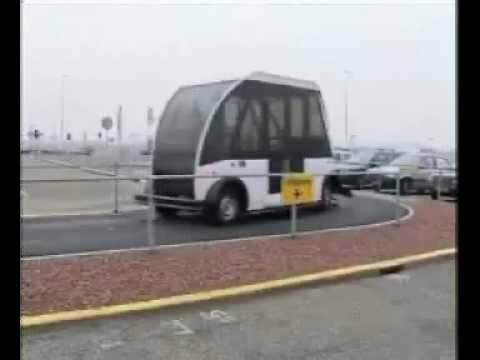 To introduce the newly developed 2nd generation GRT vehicle, 2getthere demonstrated the vehicle during the Electric Vehicle exhibition in Monte Carlo (EVMC) in 2003. Located in the port, a small lap was created within the site of the exhibition, where the driverless vehicle used the same street as the Formula 1 cars. With the vehicle operating amongst the visitors of the exhibition, it had a steward on-board to intervene when necessary. The most prominent passenger was Prince Albert, who officially opened the exhibition. In 2004 the city of Antibes hosted the closing conference of the CyberCars and CyberMove EU-research programs on driverless vehicles. Leading up to the conference, the 2nd generation GRT provided a demonstration on the Avenue du Verdun in the port of Antibes during two weeks. The road was closed to car traffic, with pedestrians and bikes able to intersect at any point along the track. All local schools visited the driverless vehicles, with a high speed test and emergency braking demonstrated during the conference. On the streets of Delft a demonstration was provided later that year to interest potential students in technical studies. Interacting with bikes on the streets along the canals, the steward never had to intervene despite the intensive bike traffic. A similar demonstration was organized in 2005, although mixing with car traffic, during the opening of the Hessing showroom in Utrecht. The driverless vehicles provided transportation towards the exclusive car dealership located in the sound barrier along the A2.